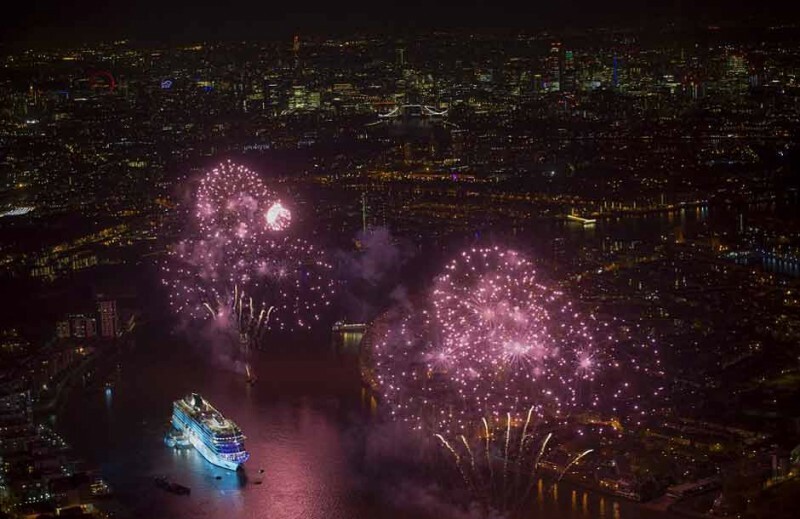 In the week that Viking Ocean Cruises’ second ship was christened on the River Thames at Greenwich, the company has announced that its fourth ocean vessel will debut in December 2017 with a 141-day World Voyage. Viking Sea was named by Karine Hagen, the line’s senior vice-president, and daughter of company founder Torstein Hagen, using a bottle of Norwegian Aquavit instead of the more traditional Champagne. Viking Sun – to be preceded earlier next year by Viking Sky – will visit 66 ports in 35 countries during the world cruise scheduled to depart from Miami on December 15, and finish in London almost five months later. Fares will begin at £30,798 per person and guests will be given £1,369 on-board credit, plus £514 to spend in the spa and £514 in the ship’s shops. The fare includes almost all but the most premium drinks on board, business class flights, and all medical services (if required). On board, the ship also provides free Wi Fi, laundry, and 24-hour room service. During the world cruise, the 930-passenger ship will visit Havana, Cuba, transit the Panama Canal, and sail via Tahiti to New Zealand. It goes on to Shanghai, Sydney, Bangkok and Singapore before heading for the Arabian Gulf, Red Sea, and Mediterranean, and finally on to Greenwich. FRED OLSEN Cruise Lines was so overwhelmed with demand for its first fly-cruise to the islands of the Indian Ocean, announced only this week, that it has added another. The original itinerary, travelling from November 30 to December 14, 2017, included flights from Manchester or London to join the 880-passenger Boudicca on a 14-night holiday that spends two days in Mauritius, three days in the Seychelles, and also visits Madagascar, Reunion, and Mayotte. Fares from £2,699. The additional cruise, commencing on November 16, has fares from £1,849. It goes on sale on Tuesday (May 10).